The marchers left Browntown Oval at 7 am, in light rain. Due to the rain, the commemorative service that had been planned to be held at Blackheath War Memorial was moved to Blackheath-Mt. Victoria RSL Sub-Branch Hall. The service started at 8.30 am. Morning tea was provided after the service by the ladies at Blackheath Quota Club. The marchers left at 9.30 am, being waved goodbye by local school children. The marchers stopped at the Hydro Majestic for a coffee about 10.30 am. The marchers arrived at Katoomba at about 12 noon. 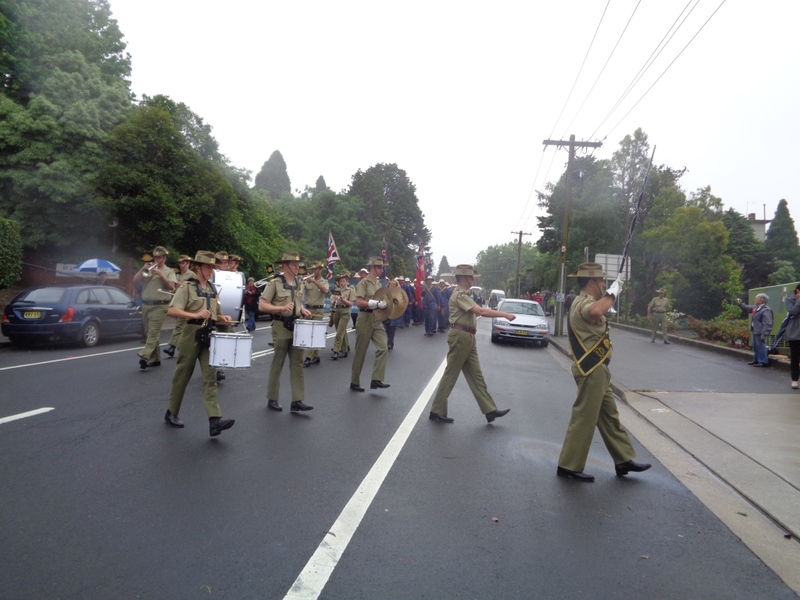 A street parade was held in Katoomba from Katoomba Street to the Katoomba RSL Club, which was lead by The Australian Army Band from Victoria Barracks, followed by the marchers, and a large number of local school children. 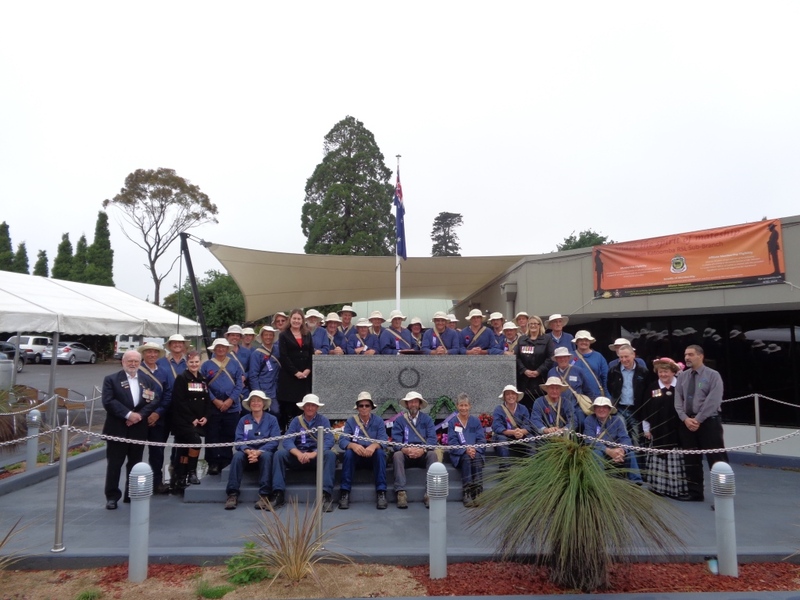 A commemorative service was held at Katoomba Community War Memorial starting at 1 pm. 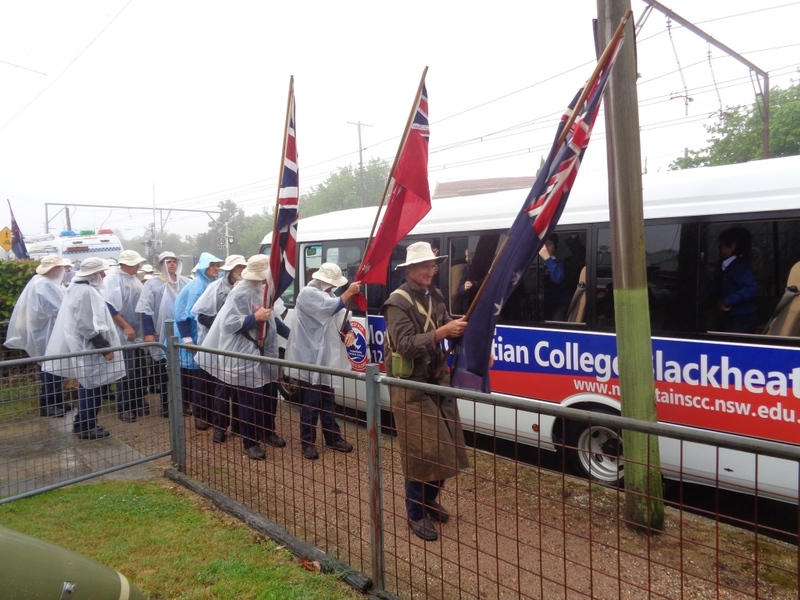 Lunch was provided by Katoomba RSL Club, which was very much appreciated by the marchers. Katoomba RSL Club very kindly also provided the auditorium for the marchers to stay overnight in, due to the rain. The marchers had showers at Katoomba Showground. This entry was posted in Memorials, Parades and tagged Katoomba. Bookmark the permalink.